A collaborative effort of local law enforcement agencies slammed the lid on a drug distribution operation that was originating from a Brick Township home where children were present, officials with the Ocean County Prosecutor’s Office said. 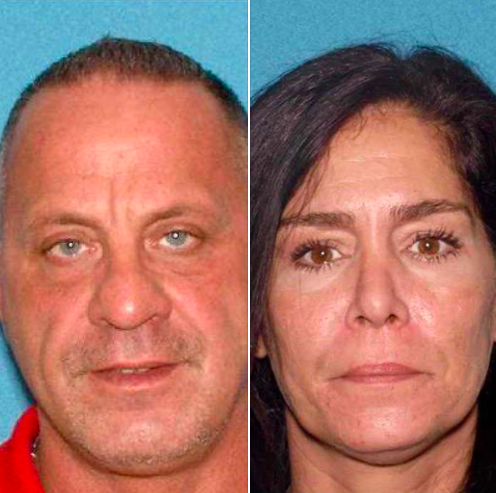 Joseph Cafasso, 49, of Brick, was arrested Sunday along with Stacey Pio, 46, of Nutley (Essex County). A search warrant was executed at the residence – which was not disclosed in the press release – on Sunday, coinciding with the arrests. Detectives seized approximately three and-a-half bricks of heroin, suboxone, and cocaine. The investigation “also revealed that minor children were present at the residence,” the statement from the prosecutor’s office said. Brick Township police then executed a motor vehicle stop as Cafasso was driving near the residence, in nearby Toms River. He was found to be in possession of approximately $1,200 in cash, police said. Cafasso’s passenger, Pio, was found to be in possession of approximately $940.00 in cash and a “large quantity of morphine pills,” police said. Both were transported to Toms River police headquarters. Cafasso was charged with distribution of less than an ounce of heroin, two counts of possession of heroin with intent to distribute, two counts of simple heroin possession, possession of Suboxone with intent to distribute, simple cocaine possession and three counts of endangering the welfare of a child. Pio was charged with possession of less than a half-ounce of morphine with intent to distribute, simple possession of morphine and possession of drug paraphernalia. Cafasso was lodged in the Ocean County Jail pending a detention hearing. Pio was released on a summons pending a future court date. “The Ocean County Prosecutor’s Office is committed to working with all local police departments to investigate and prosecute individuals engaged in the illegal distribution of illegal, and in many cases deadly, narcotics throughout the county” Prosecutor Bradley Billhimer said. The investigation included the participation of the Ocean County Prosecutor’s Office Major Crime Unit, Toms River Township Police Department Special Enforcement Unit, Brick Township Police Department and Ocean County Sheriff’s Department Crime Scene Investigation Unit.